A selection of comments from previous clients. We have also noticed a marked reduction in our courier costs since switching to GMR Couriers. We do not hesitate to recommend GMR Couriers to all our customers who require the services of a local, independent and reliable courier whose service is second to none. I needed a last minute courier and GMR were one of the companies that came up from a Google search. They were not the first company I contacted but on speaking with Sarah, I knew they were going to deliver! They picked up my parcel within the half hour and had it delivered to its destination ahead of the ETA. Fantastic service! Just wanted to thank you for your excellent service. You are always prompt in your email responses and never fail to 'deliver' (excuse the pun!) You all do a great job and it makes a huge difference. Genuine thank you for making my job easier by being so efficient! GMR Couriers would be, and are, a great asset to any local business. Their prompt responses (what other courier could get to your business within an hour if requested? ), along with their personal, friendly service makes such a refreshing change. Our company often ask them to pick up/collect non standard items, i.e. lengths of timber, or as more recently, tools and electrical equipment left for collection at a church. Nothing is ever a problem for GMR Couriers. Goods delivered on time and at a competitive price. Fast efficient, friendly and cost effective. Back in 2008 we were looking for a local professional van company to carry and deliver all our pallets to various delivery areas, We were contacted by GMR and can honestly say it was the best move we have made. Their drivers are smartly dressed and well presented, much like every one of their vehicles. All their staff are friendly and polite and nothing is ever too much. If like us you are a busy company where customers matter and delivering goods right the first time, on time is important then look no further than GMR couriers. As stated we started using them in 2008 and have never looked back. Professional, friendly and reliable; nothing is too much trouble for GMR Couriers. Whether it is getting urgent parts out to waiting engineers or cost effective overnight product shipment they make it simple. I woudn't use any one else. Reliable couriers - what more could you ask for? Quickest, most efficient courier I have used. Hugely impressed!! Fantastic service We needed an urgent collection/delivery today from Birmingham to Newport. I telephoned GMR at 9.30 am. My call was dealt with in an extremely professional and courteous manner. The delivery arrived as stated at 1.30pm. The cost for the service was very reasonable and I would have no hesitation in recommending them. I have received an email from a very satisfied customer complementing our choice of courier and wanted to pass this on as I know how hard your staff work. I would also like to take the opportuity to thank GMR for being such a helpful and kind company, and offering the best courier service I have ever known. 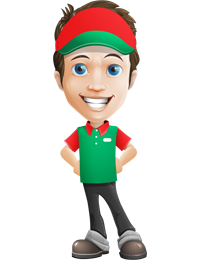 Excellent customer service - tried 3/4 couriers locally with no response via email or answer of the phone. Sarah was great - so helpful, friendly and efficient! Will definitely be using your services again! I would just like to say what a pleasure it is to deal with such a professional company; I was very pleased with the service I received. From my first point of contact via e-mail right through to Simon assisting with removing the goods at the destination. Great customer service is what makes a company great and that is exactly what I received today. I have been using GMR for all my courier needs since 2007, they have never let me down and have been consistently brilliant. Their customer service is excellent always giving that extra touch and I would recommend them to anyone. At Kingsmoor Packaging we set a very high standard of customer service. in doing so we choose carefully our partners with regards to providing this service. GMR Couriers have been faultless in every way. I have called them in the middle of the night to both arrange and change instructions. Always a courteous voice on the phone even in antisocial hours when we should all be fast asleep. We are judged by our own customers on the cleanliness of the vehicles used and the politeness and efficiency of the drivers. The staff at GMR represent our own standards well and it costs less than you think for a same day service. I wanted to say how much I appreciated the work your staff did for me this week. The staff were able to get my parcels to my customers on time and in the case of the parcel to Guernsey before time! I know in this day and age that automated systems are not designed for human intervention and that these systems make the personal touch difficult. Never the less on both occasion you were able to sort out possible problems for me in time and this avoided my having to disappoint my customers and possibly lose money. So thank you once again. I was really impressed with your brilliant service. Everything was arranged in record time, and you kept me informed throughout. Thank you so much. GMR Couriers were a pleasure to deal with. I had an urgent package that needed to be delivered to a customer on a Friday afternoon, pick up from Somerset and drop off in Hampshire. They immediately sent a courier to the pick-up and kept me updated all the way through until the package was delivered and signed for by the customer... all within 3 hours! I would definitely be using them again and highly recommend their service. Very fast service. Collection within 1 hour after booking with Craig at 4pm and delivery next morning 8am as promised from Liverpool to London. 600kgs 2 mtr long pallet. Really good service, thank you. Very professional and do exactly what they say, excellent service.